PUMA RS Computer Shoe #WearableWednesday « Adafruit Industries – Makers, hackers, artists, designers and engineers! 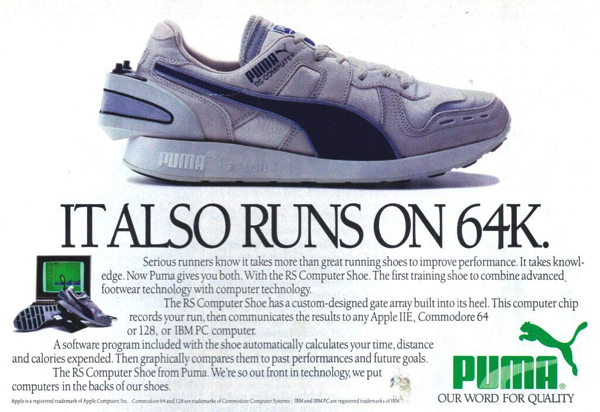 These Puma running shoes were affixed with pedometer computers that could be reset and would count up time and distance that could be then downloaded to the game port on the Apple II. 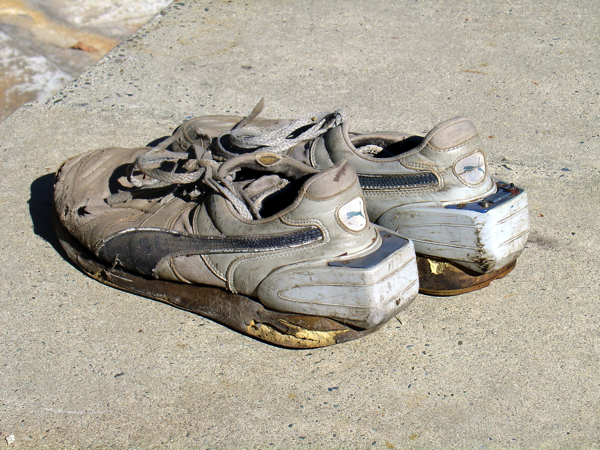 Allan Lundell put these shoes to good use in Santa Cruz, California in the mid 1980s. Allan tells us: “nothing could get people’s attention more than bending down and pushing a button on your shoes and hearing them beep, the definitive nerd”.